Kielder Water & Forest Park brings you nature on a grander scale. 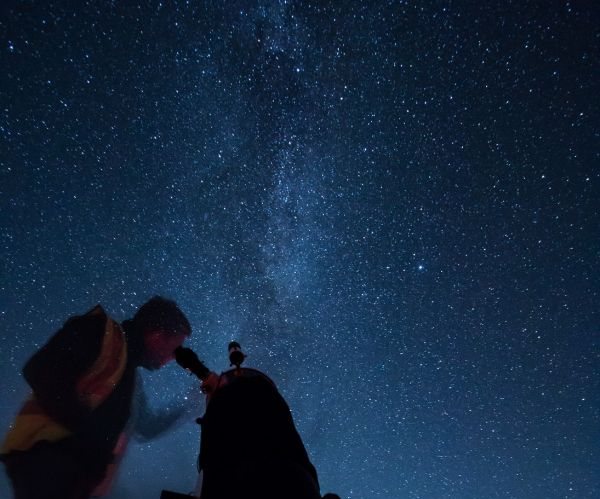 The views are bigger, the night sky brighter with things to do for all the family. Kielder is home to the biggest man-made lake in Northern Europe and, at over 250 square miles, the largest working forest in England – all in the heart of Northumberland and with both Hadrian’s Wall and Northumberland National Park on the doorstep. Kielder is a great place to visit at one of our three visitor centres, Tower Knowe, Kielder Waterside or Kielder Castle. 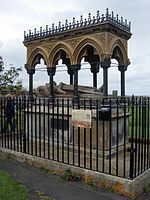 The story of Grace Darling has become famous throughout the world. It all started in a small Cottage in the Village of Bamburgh, where Grace was born in her grandfather's house on the 24th November 1814, the daughter of a lighthouse keeper. In 1826, as a young girl Grace and her family moved to the newly built Longstone Lighthouse on the nearby Farne Islands, about 3 miles off the Northumberland Coast. The family lived a self sufficient life on the Farne's tending to both crops and cattle on the nearby island of Brownsman. It was for her actions during an exceptionally stormy night in 1838 that Grace would become famous right across the world. At approximately 4am the Steamship 'Forfarshire', on route from Hull to Dundee, ran aground on the rocks of Big Harcar. The ship broke in two and was blown off into the sea Southwards in storm force winds. Soon afterwards Grace spotted the forlorn ship from her bedroom window, but it wasn't for a few hours before she and her father saw survivors clinging for their lives to the rocks. Grace and her father decided to set off in their family Coble boat, fearing that life boats from Bamburgh would not be able to launch in such appalling conditions. In all, their immense bravery rescued the lives of nine, including a Mrs Dawson who was desperately clinging on to the bodies of her dead children. Grace's story is 'amazing' and can be explored in full at the RNLI Grace Darling Museum which, thanks to a Heritage Lottery Fund Grant has had a major rebuild. It is located on Radcliffe Road in the Village and the postcode for your SatNav is NE69 7AE. You can also visit Longstone Lighthouse on the Inner Farne, where Grace lived, as part of a boat trip to the Farne Islands. This is a must-play golf course. The club welcomes visitors to enjoy our unique course and attractive clubhouse. All our Green Fees give temporary membership of the club and allow full access to the clubhouse and practice facilities. There is a Coastal Golf Classics package available with two nearby clubs, Alnmouth and Goswick, offering a unique opportunity to play three classic yet contrasting seaside golf courses on the Northumberland coast for one green fee of £90 per person. Click here to find out about this package. From dark-sky stargazing to wild-goat walks, Northumberland National Park offers an abundance of glorious isolation, rich wildlife and varied terrain, with meadows, moorland, peat bog, ancient woodland and still-wild coastline. This northernmost national park in England covers more than 1,030 square kilometres (405 square miles), and stretches from the Scottish border in the north to just south of Hadrian’s Wall, with the North Sea to the east and Cumbria on its western flank. The vast wilderness is inhabited by less than 2,000 people, and has earned the title “England’s most tranquil location”. Peppered with prehistoric hill forts, Roman ruins, towers and castles, it is steeped in history and also includes the impressive Kielder Water, the largest working forest in England and the largest manmade lake in Northern Europe.